Venezuela's location perched 8° above the equator, means it generally enjoys a balmy warm climate. Temperatures don't fluctuate wildly, hovering between 26°C (79°F) and 28°C (82°F) and making the country something of an all year round destination. The coastal regions on the Caribbean feel balmiest, and the lowland areas also enjoy a tropical climate. The main factor in temperature variance is altitude. The mountainous Andean regions are significantly cooler, and temperatures can drop to around 9°C (48°F). Venezuela's rainy season runs from May to December. During this period, there is the possibility of flooding in certain low-lying areas, such as the Llanos and in some valleys of the Andes. The dry season is from December to April, with January and February being the coolest months, and July and August being the warmest. The best time to visit the Andes mountains is from October to May, before the rains come in June. Venezuela's weather is quite changeable, and even during the dry season there's always a chance of rain. If you're up in the northern mountainous region, you're likely to encounter a good few downpours. Lightweight cottons and jeans will be suitable in most locations, whether in the lowlands or on the coast. Pack a sweater or jacket if you're planning to spend any time in the Andes. It's also a good idea to take some waterproofs or a sturdy umbrella whichever region you're visiting. Situated in the north east corner of the South American continent, Venezuela is bordered to the north by the Caribbean, to the east by Guyana and the Atlantic Ocean, to the south by Brazil, and to the west and southwest by Colombia. The country consists of four distinctive regions: the Venezuelan Highlands in the west; the Maracaibo Lowlands in the northwest; the vast central plain of Los Llanos around the Orinoco River; and the Guyana region in the extreme south, which includes part of the Amazon rainforest and the Guyana highlands. 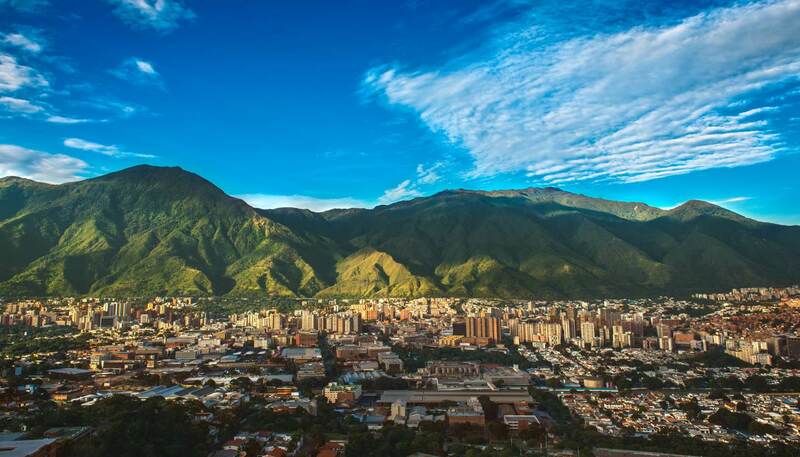 Various parts of Venezuela, including Caracas and the eastern part of Sucre, are vulnerable to earthquakes, although there have been no serious ones for many years. Important topographical features include the Orinoco river, the largest river in South America after the Amazon, at a length of 2,140km (1,330 miles), and the dramatic table top mountains known as tepuis, which are found in the Guyana highlands. Angel Falls, situated in the Canaima National Park is the highest waterfall in the world, plunging into the Orinoco from a height of 979m (3,212ft). The Andes mountain range crosses the northwestern region of the country, with the highest peak Pico Bolivar reaching heights of 5,007m (16,427ft).